The executor of a Blackpool estate prior to being granted probate contacted 365 Property Buyer, having been recommended by their Blackpool Solicitor, asking will you buy my house for cash. It was very apparent the Blackpool property had structural issues as the whole property was tilting. The executor wanted a quick cash sale in Blackpool to avoid sales falling through. 365 Property Buyer offered a 5-day exchange and completion on the granting of probate. Sellers come to us as we an offer a fast, stress-free cash sale of your property. Being a proud member of the Property Ombudsman, we are honest and professional, and in addition, we offer a no legal fees and no need to clear the property sale, meaning that your Blackpool house sale will cost you nothing. If you’re considering selling your property in Blackpool, call us today, as we are capable of completing sales fast. Our we buy any house.approach gives the seller the added protection of knowing the sale will complete and fast. Contact our friendly team today to sell your Blackpool property quick, no obligation and professional through to completion. 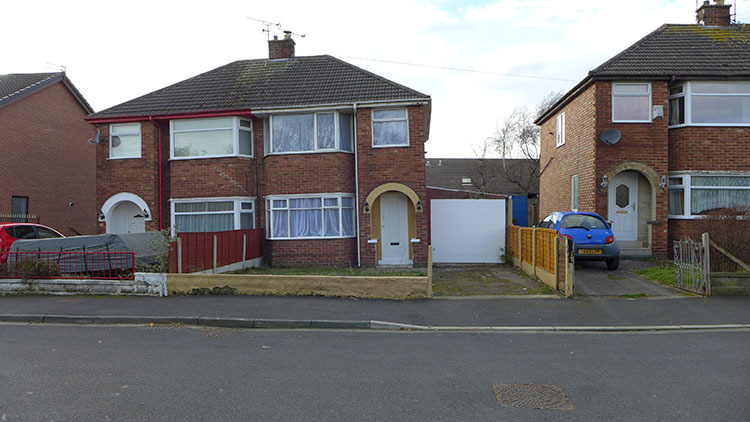 This Blackpool Semi-Detached House sold in 5 days, If you are looking for a quick house sale, give us a call on 0800 019 7031 or get in touch.